Strathmore presents the Annapolis Symphony Orchestra (ASO) with world-renowned cellist Lynn Harrell in the orchestra’s first solo performance in the Music Center at Strathmore on Sunday, March 6, 2016 at 3 PM. This engagement includes performances of Shostakovich’s Concerto for Violoncello No. 1 in E-flat Major, Op. 107, for which Harrell will join the ASO, and Mahler’s Symphony No. 1 in D Major, both under the baton of ASO Music Director José-Luis Novo. For more information or to purchase tickets, call (301) 581-5100 or visit www.strathmore.org. This performance is part of the ASO’s four-year residency relationship with Strathmore, during which the symphony performs in the Music Center annually. The series enriches classical offerings in the region and elevates the profile of the ASO among lovers of symphonic music, while marking a pronounced escalation in the level of artistic collaboration for the orchestra. The first engagement in the series, with Simone Dinnerstein in 2015, was cancelled due to inclement weather. With a 54-year history of artistic excellence, the ASO is recognized as the largest and most distinguished performing arts organization in Maryland’s capital city. Under the direction of Maestro José-Luis Novo, the ASO continues to rise in excellence and national reputation. The ASO reaches thousands annually with its free Pops in the Park concert, joint concerts with the United States Naval Academy, and collaborative projects with other arts organizations and touring headliners. Additionally, the ASO sponsors numerous award-winning education concerts and outreach programs in community schools. In recent seasons, Harrell has performed with the symphonies of Atlanta, Sydney, Boston, and Detroit, the China and Seoul philharmonics, and the Metropolitan Opera Orchestra to close Carnegie Hall’s season. He recently performed in the Verbier, Hong Kong International Chamber, La Jolla, Eastern Music, Scotia, and Aspen festivals. In 2015-2016 Lynn is touring with the Mutter-Bronfman-Harrell trio in Berlin, Madrid, Moscow, Milan, and Munich. The trio is also performing Beethoven’s triple concerto at the Salzburg Easter Festival and Dresden Staatskapelle. Orchestral engagements include those with the Mexico National Symphony, National Taiwan Symphony, and Hangzhou Philharmonic. 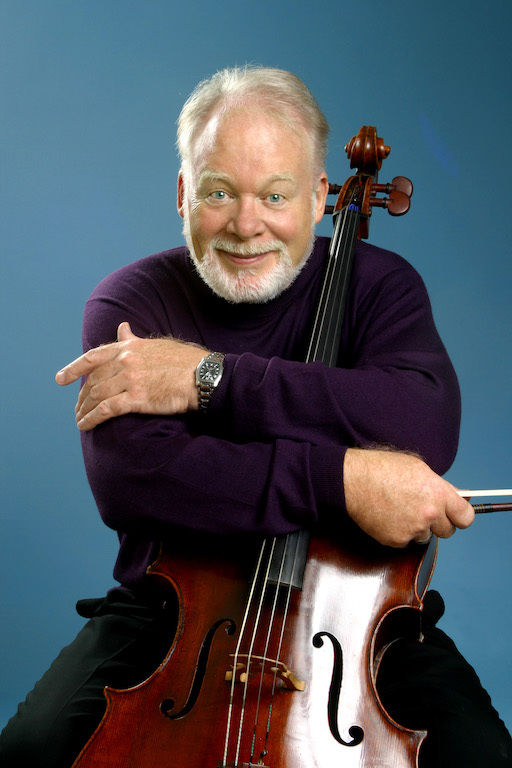 Harrell’s career includes more than 30 recordings, including the complete Bach Cello Suites, and two GrammyÒ wins with Itzhak Perlman and Vladimir Ashkenazy. Since his appointment as Music Director and conductor of the Annapolis Symphony Orchestra in 2005, José-Luis Novo, holder of The Philip Richebourg Chair, has instilled a new and vibrant artistic vision. Maestro Novo’s continuous drive for artistic excellence, innovative thematic programming, and collaborations with some of today’s most respected guest artists has brought about unprecedented artistic growth, audience praise, and consistent critical acclaim. In addition to his post at the helm of the ASO, Maestro José-Luis Novo has served as Music Director and conductor of the Binghamton Philharmonic (New York) since 2003. Prior to these appointments, he was assistant conductor of the Cincinnati Symphony Orchestra, under the direction of both Music Director Emeritus Jesús López-Cobos and former Music Director Paavo Järvi, and the Cincinnati Pops Orchestra under the late Erich Kunzel.